Private forum for all members of Navy Moms on Facebook who want to connect easier and more often!!! 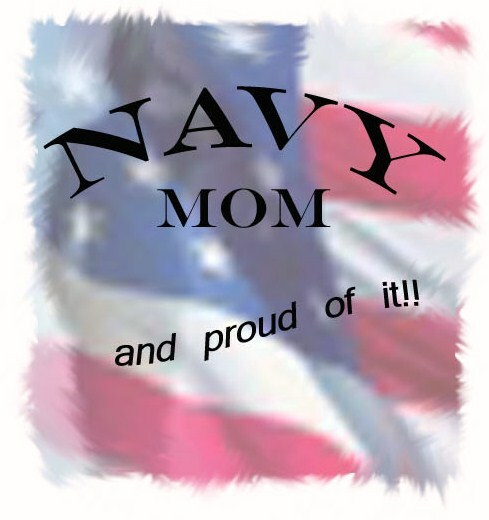 Navy Moms on Facebook :: Do you have your own Business??? What to do with all those Digital photos of today and all those precious photos stuffed and or stored in the shoe boxes or in old fragile photo albums or those scrap books sitting on the shelf???? Make a beautiful bound BOOK! Canvas Collection Swatch Book and even a personalized Magazine. We now also OFFER Customizable POST BOUND ALBUMS! YourStoryBooksOline is an easy online publishing and Digital Scrapbooking System! I would love to introduce you to a whole NEW way to creating your Own High Quality Books - Scanning Services are now available! Scan 500 photos an Hour! Call / message me to set up a Stop.n.Go Appt. Company Overview - Your Story Books Online with Heritage Makers is dedicated to helping you and your family discover, preserve and celebrate YOUR family stories and family heritage and legacies. Your Story Books Online with Heritage Makers is dedicated to helping you and your family discover, preserve and celebrate YOUR family stories and family heritage and legacies. Heritage Makers products help you to create and make special and unique keepsake gifts to celebrate your special life occasions, such as a wedding, new baby, family reunion, parents anniversary, new pet, memorable vacation, family yearbook and all moments in your life that you wish to treasure. -Product/Project archival. No Project is ever deleted - until YOU choose to do so. So if a month/year from now you need another copy of the book, card, canvas, or scrap page all you have to do is re-order it! Plus what is really cool is that you can add or or change it. - Heritage Makers offers over 65,000 pieces of art with more collections being added monthly at no extra cost. -Free photo storage (with Basic Account UNLIMITED with CLUB or Premier Membership) up to 2 GB which is about 1000 photos depending primarily on the size of your photos with UNLIMITED photo storage with a Premier Membership. Safe and secure from computer or hard drive crashes, fire, floods, tornadoes & hurricanes. -Template Gallery with almost 7000 plus pre-made templates and designs! All you have to do is add your own photos and text! YOU are the author and designer. -Scanning! I offer High Speed Scanning service allowing your "paper" or traditional photos to be turned into digital. My Professional Kodak s1220 will scan about 500 in about an hour. I scanned about 30 plus years in about 3 hrs. That was from 1975 to 2006, still have about 3 Albums to do yet. -No software to BUY or install!! We are web-based! Works on either PC or Mac platform using Internet Explorer or Firefox browsers for best results. Though I have had very good luck using Safari and Chrome as well. You can work on your project from any computer, anytime, anywhere! Would you like to earn free product credit? Host a workshop! Invite a few of your family or friends over do what we call a digi crops or workshops! also HM is a GREAT business opportunity! that is how I started! We have online Webinars and Excellent training available. Storybooks, gallery wrapped canvases / prints, poster prints, greeting cards, family folds, invitations, thank you cards, calendars, cookbooks, planners, flip books and swatch books and scrapbook pages in several sizes. AN now we offer BUSINESS PRODUCTS! Business Contact cards, Flyers, Booklets, Magazine. The ideas and applications are endless! Business products are not just for Business!! Your Story Books Online with Heritage Makers also offers a fun and creative home based business opportunity - and Heritage Makers has and is one of the only Direct Sales companies that Oprah has ever endorsed and Heritage Makers has been on her top best gifts to give 3 years in a row! Heritage Makers products help you to create and make special and unique keepsake gifts to celebrate your special life occasions, such as a wedding, new baby, family reunion, parents anniversary, new pet, memorable vacation, family yearbook and all moments in your life that you wish to treasure. You can create all of your Heritage Makers projects in your own online, password-protected, personal publishing and creative center from the comfort of your home with Heritage Makers Studio 3.0. The Heritage Makers Studio is so easy to use and provides tremendous flexibility. There's NO special added software to purchase . . . AND you can access Studio from any computer PC or Mac anywhere with high-speed internet access. You can start with a blank page/project or choose one of the many free pre-designed community and professional templates to use in your projects. You'll enjoy the benefits of having complete control over how your project turns out. Your free Basic account gives you the ability to upload photos and create meaningful projects. Or you can choose to upgrade to a Premier membership and enjoy even more with thousands of pieces of digital art, unlimited photo storage, hundreds of free templates, free online classes, and so much more! When you become a part of the Heritage Makers' family, you join a community of people devoted to strengthening family through the power of story. Plus, you're going to have tons of fun! You can enter contests, participate in free online classes, learn tips and tricks for designing and writing story, share your projects with others in the community, and more. Do you scrapbook or have you admired scrapbooks but didn't know where to start. Wonder no more. You've come upon the one stop shop scrapbooking. No more tools, no more leaving the house to go and get materials, no more trying to match items for a layout. Digital scrapbooking is the answer. 3rd- add background paper, titles, embellishments from over 65,000in the collections available. Once your scrapbook is complete send it online to Heritage Makers and in 10 days you will recieve your hardcover, glossy page scrapbook in the mail. I do in-home workshops as well as one on one assistance and training. Individual project design (books, pages or canvases). Feel free to check out my web-site for products that are available. Mission: Heritage Makers is dedicated to helping you and your family discover, preserve and celebrate YOUR family stories and heritage. We believe in strengthening homes and families with the heritage enriching power of storybooking. Storybooking is the unique Heritage Makers process of combining photographs with personalized writing into one or more professionally bound books. Heritage Makers is the first and fastest growing storybooking company in the world! At Heritage Makers, we believe there are four stories that must be told: parents, you, children, and family. The Heritage Makers Cornerstone series was invented to help you preserve stories and memories, while creating a strong family heritage. We can help you record all of your precious memories before they slip away. Self-publish your hardcover storybook with Heritage Makers today. I LOVE THE CANVASES!!! Maximize your memories by arranging your photos and stories onto high-quality prints. Choose from a variety of backgrounds and layouts. Take a look at the Template Gallery just to get an idea of what all can be created! The possibilities are end less! and it GROWS every WEEK!